Using a mobile phone while driving is dangerous. We all know that. This danger is the one thing the smartness of our phones doesn’t really solve – no matter how smart they get, they still require more attention than we have to give while driving. The best thing would probably be to turn the thing off every time we drive, but who would seriously do that? So the next best thing is to find ways to limit the distraction the device creates. If you’re worried about texting and driving, or looking for ways to make your phone easier to ignore, here are some apps that are sure to come in handy. Just make sure you don’t install them while driving! Auto SMS Automate SMS Replies & Schedule Messages With Auto SMS [Android 2.1+] Automate SMS Replies & Schedule Messages With Auto SMS [Android 2.1+] Texting has become a common and very popular method of communicating with friends. Shooting off a quick text is much quicker and easier than calling, and it’s possible to text while distracted by other tasks.... Read More is an auto-responder which takes care of both text messages and calls. Not only does it respond automatically if someone calls or texts you, it can also read text messages aloud automatically every time you receive one, so you don’t even have to look at your phone. In order to get the reader to work, you will have to bore into the app’s settings and download the voice data (find it in the Settings in the Reader section), but after that, the text-to-speech works great. It even reads out the name of the sender, so you don’t have to look to see who it’s from. You can set the app to auto-respond only to certain people, only at certain times, and only to texts/calls. You can also choose how to reply, and set multiple different profiles for different scenarios. Auto SMS is a pretty rich app, with plenty more options for you to explore. One thing’s for sure, though, it will get your hands off your phone. If you don’t like the ads, get the ad-free version for $1.99. 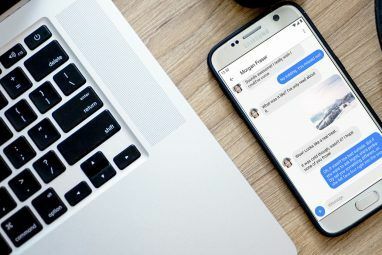 Text by Voice is also an auto-responder, if you want it to be, but its main functionality is hands-off texting which is not necessarily automatic. So how does it work? When you launch the app, it will sit in the background and wait for one of two things: an incoming message or the words “text by voice”. If you receive a text message, Text by Voice will read it aloud and then ask you if you want to respond, repeat or ignore it. If you choose to ignore it, the sender will receive the auto-response you configured. If you choose to respond, you can dictate your answer. All this is done purely by voice. At any time you can also say “text by voice” and text any contact you want, using only your voice. No hands. You can set Text by Voice to turn on automatically when driving, when the phone is docked, etc. The speech recognition is rather good, and only had problems with the foreign names of my contacts. You can switch the engine to Google Voice, if you wish. If what you’ve seen up till now seems like too much hassle, or if you don’t feel like configuring so many options, give VeloCT a try. 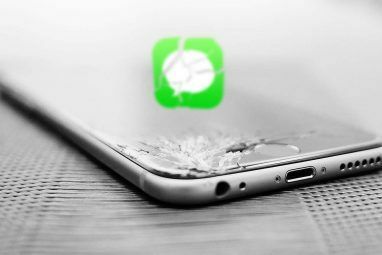 This tiny and simple app does only one thing – sends an auto-response to all incoming text messages. However, it only does this if you’re moving at a certain speed. The app is currently in beta, so more features may be added in the future, but as it is, you can configure your message and your speed, and turn the app on and off. That’s it. The app will use your GPS (which must be on) and determine how fast you’re going. When you’re over the set speed, it will start auto-responding. Nice and simple. The only thing it’s really missing is auto-response for incoming calls as well. Ad-free version is $0.99. Sometimes I find that I can be really patient, and simply ignore everyone while I’m driving. The only problem is that I can’t really ignore everyone. There’s always someone I simply have to acknowledge somehow, or at least know that this person has called, and I find myself scrambling for the phone just to see who’s calling or texting. In a perfect world, I could just keep the phone in my pocket and know who’s calling me without even looking. This is where ViBe comes in. With ViBe, you can choose specific contacts, and set different vibration patterns for each of them. This way, if you simply have to know about certain people calling or texting you, you’ll know in an instant, just by the vibration pattern. You can set a pattern for a single contact or a group, and there are 5 different patterns to choose from. You can also by the full version for $1.99 which lets you create your own custom ViBes (you can try it out on the free version), or buy single patterns for $0.99 each. This is certainly a unique way to keep your eyes on the road. 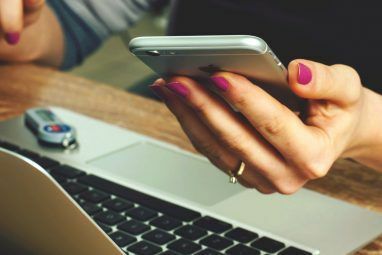 If this seems excessive, or if you need a specific ID for each contact, you can always try a caller ID reader such as Speak Calls [1.5+], which simply reads out the name of the caller. Doesn’t work with text messages, though. No matter the method, the important thing is that we all drive safely. Even when using an iPhone. So if you happen to own an iPhone, check out Bakari’s Five Apps And A Few Tips For Using Your iPhone While Driving Five Apps And A Few Tips For Using Your iPhone While Driving Five Apps And A Few Tips For Using Your iPhone While Driving The key to using your phone while driving is to reduce the number of steps it takes to make a call, send a text message, or check driving directions. The iPhone includes a few built-in... Read More . What do you do when you drive? Do you get tempted and type the odd text, or do you manage to ignore your phone? Do you know of any more useful apps for driving? Share in the comments! Explore more about: Automotive Technology, Instant Messaging, SMS. Texting while driving is a serious danger that keeps many parents up at night! If you are concerned that your child is texting and driving, please download MMGuardian Parental Control FREE from Google Play. 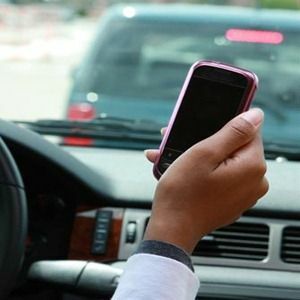 It disables your teen's ability to text while operating a vehicle, so they stay safe! Thank you for this. I have been looking for these kinds of apps. I just told my husband last night that I needed an app to find apps. I spent 20-30 minutes trying to find an app that would let people know I'm driving, plus I have 3 teenage daughters two of which are driving. Text Away by h.r design is a nice app. You can send a text automatically back to whoever calls or texts you while the app is running. All messages are customizable like out of office or on the road, or your own. Thanks Paul, I didn't know this one. Looks like a great option. Have you been using it while driving? Great article Yaara! Would you happen to know of any equivalent apps that would work for an iPhone 3GS? I guess Siri can do some of this for the iPhone 4S. It comes by default on my SGS2, but is available for Android, iPhone and other brand phones such as Blackberry and Nokia. Thanks! I did take a loot at it while writing, but thought it was too sophisticated - offered way more options to check. Great to know it's a good option for this. Thanks for the article. ViBe has soo many use cases!! Interestingly enough, some studies have found that even having a hands-free voice conversation can increase your risk of an accident. How is having a hands free/ voice text conversation any different than speaking to someone riding as a passenger? Should there be a no speaking to the driver law? Well, what I've heard is that passengers are more aware of what's going on. If you're coming up on a difficult turn and need to concentrate, your passenger can pause the conversation to let you concentrate. Someone on a cell phone a hundred miles away isn't aware of that sort of thing. I'm not necessarily advocating for any sort of law -- just pointing out risks. I agree with what Chris said, it seems logical. I mean, I don't know the exact reason, but I'm definitely less concentrated on driving when talking on the phone, even hands-free, than when talking to a passenger. Not even sure why.